Shopping for Ghostbusters Action Figures? These Ghostbusters Action Figures stand ready to ward off demonic spirits. Set your ghost traps for these amazing figures! Are you afraid of ghosts? These ultra-cool Real Ghostbusters Action Figures stand ready to ward off demonic spirits! 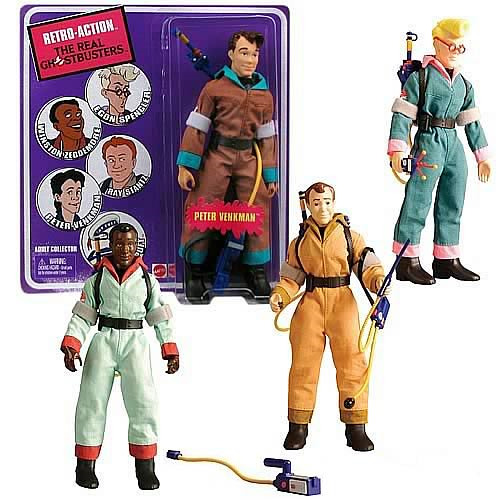 Straight from the 1986 animated series The Real Ghostbusters, comes this wonderful assortment of 8-inch tall plastic figures with cloth uniforms and Mego-style retro packaging. Set your ghost traps for these amazing figures!